Hedges Direct partners ITV’s ‘Love Your Garden’ for NHS 70th Anniversary Special. 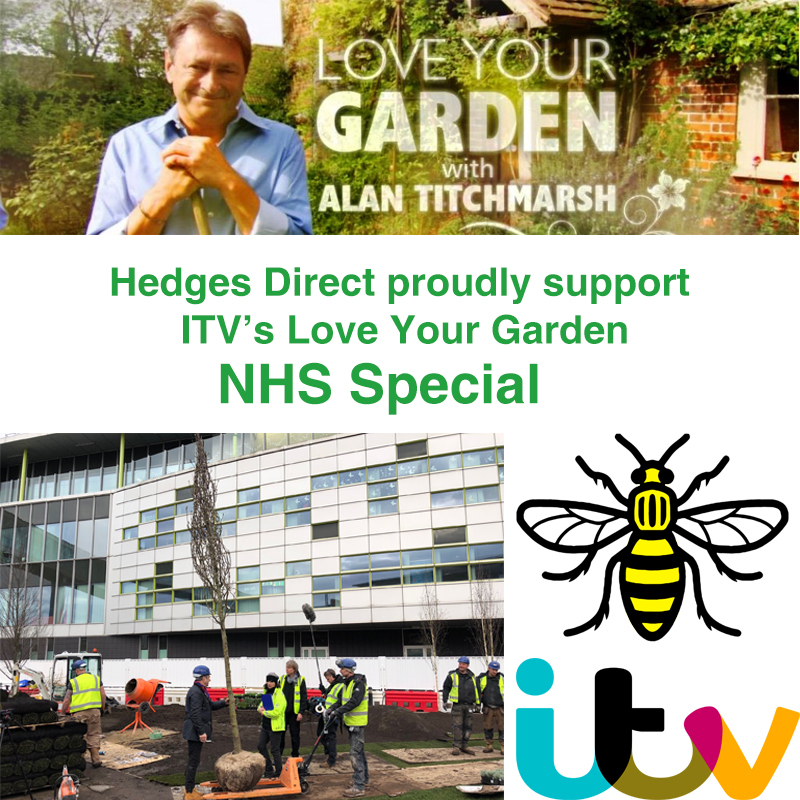 Hedges Direct have been proud suppliers to ITV’s Love Your Garden since 2013, helping to transform the gardens of some of the most deserving homeowners in the UK. However, on May 22, the one-year anniversary of the Manchester Arena bombing, an extremely special episode aired as part of ITV’s line up of dedicated programmes to celebrate 70 years of the NHS in which we donated a stunning selection of trees and plants that will form part of an exceptionally unique garden at the Royal Manchester Children’s Hospital. The garden is dedicated to the bravery, positivity, and memory of all those affected by the attack a year ago, many of whom were children and were treated at the hospital at the time and some for whom treatment is still ongoing. 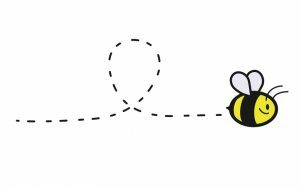 However, it’s a space which is much needed, as the hospital, which is the largest single site children’s hospital in England, hasn’t had a designated garden at all until now, leaving patients, families and staff without an area for respite. Their letters prompted the Love Your Garden team to plan and create this space which is larger than all their other domestic gardens in the last series put together. As a North West based company for whom Manchester holds a special place, Hedges Direct are especially honoured to have been a part of this project which saw an oasis of colour, texture, shape and function created as a tribute to the positive spirit of the people of Manchester and also a wonderful multi-functional space in which children and their families can find a relaxing, beautiful haven to enjoy and heal. Hedges Direct donated a number of plants for the garden including large Box Topiary Balls and Box Instant Hedging Troughs along with some elegant White Barked Birch Trees and striking Pleached Hornbeam Trees. Grown with a long clear stem and branches trained onto a framework, pleached trees are also known as ‘Hedging on Stilts’ and grow to form high level screening providing areas of shade on sunny, warm days. Manging Director Jamie Shipley said, “Hedges Direct is extremely proud and honoured to support this extra special ‘Love Your Garden’ project. 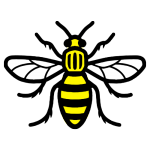 It means a great deal to all of us at Hedges Direct, some of whom are local to Manchester to be able to make such a positive contribution to this wonderful space, which will provide much needed respite and a retreat for all those using the hospital and its services for many years to come”. This Love Your Garden NHS Special was aired on the anniversary of the Manchester Arena attack on May 22nd at 8pm on ITV. If you missed the episode then you can catch it again on the ITV Hub.